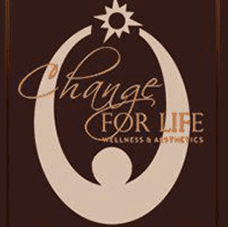 Weight loss is a common concern for many patients at Change for Life Wellness & Aesthetics located in Washington, D.C. area. Dr. Wanda Dyson offers several different weight loss options and is dedicated to taking the time to work with each patient to find the best solution. Why is weight loss such an important issue? A great many Americans are either overweight or obese and experience daily discomfort or health issues that are directly related to weight gain. Individuals who are significantly overweight experience elevated rates of many different types of disease, including diabetes, heart disease, and stroke, to name a few. Weight loss is a critical component to helping these individuals regain their health and improve the overall quality of their lives. Furthermore, weight loss is becoming a public health concern that affects all Americans, and public discourse is aimed at finding lasting solutions. The weight issue is far more complicated than most people realize. Dr. Dyson has developed a weight loss program for individuals interested in discovering the core issue(s) interfering with successful weight loss. Change for Life Wellness & Aesthetic’s comprehensive program‘s investigation extends far beyond nutrition and exercise. When diet and exercise don’t work, Dr. Dyson discovers the underlying issues such as hormonal imbalances, digestive issues, brain chemical deficiencies, environmental toxins, nutritional deficiencies, and genetics-the missing factor which contribute toward weight gain. Our weight loss program is a comprehensive balance of health factors that have helped many patients lose and manage their weight. If you would like to find out how our program can help you lose weight, please call our office or schedule an appointment online.